The Wedding Agency is behind the viral Maleficent-themed wedding two years ago. With over 400,000 marriages registered in 2014 according to the National Statistics Office, there should have been room for all types of weddings. But Kai Palileo-Cruz and Mica Tuaño-Fuentes saw an underserved market in couples looking for ideas to personalize their weddings. So the two friends founded The Wedding Agency, a niche consulting service that develops wedding concepts from scratch, and its blog component, The Rebellious Brides. “We had a light bulb moment that couples can actually benefit from the thought process that goes on in an [ad] agency. So Wedding + Agency = The Wedding Agency. We treat the couple as a client like a brand manager and we are their creative/accounts/media agency all rolled into one,” explained Cruz (incidentally, she’s the younger sister of Bootleg’s Aaron Palileo—creativity runs in the family). 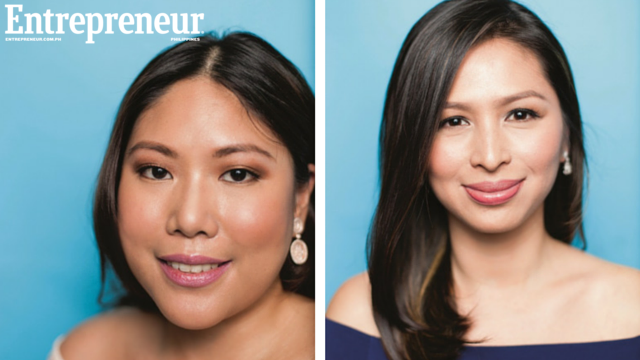 Cruz’s expertise is in marketing innovations and product development management, whereas Fuentes is a copywriter, model, and makeup artist. Better yet, they love weddings—in fact, Cruz married her husband Cyrus not once but three times: on a beachfront, in church, and in Vegas (with Elvis officiating, naturally). Taking the lessons from their 25 years of combined experience working for top advertising agencies, and applying it to wedding planning came naturally. “Mica and I came from an industry where you had to think of ‘never-been-done’ ideas every single day... What we’re doing here is second nature and we basically channeled our work experiences to benefit weddings,” Cruz points out. The process mimics that of the ad agency: They start with a client brief on which they base their insights. “Aside from the questionnaire, we talk to [the couple]—we get more insightful ideas when we do that,” said Fuentes. From there, they come up with three big ideas they’ve dubbed “tamed,” “creative,” and “crazy beautiful”—developing storylines and mood boards for all three. The clients select their big idea, and the two “strategize,” making sure that each element of the wedding is cohesive with the theme. They then give the client a “wedding walkthrough,” discussing everything from prenuptial photo shoot concept to ceremony and reception ideas. “We go into a ‘casting’ phase wherein we choose the suppliers that we feel would fit the wedding based on the concept and the budget. Then we craft the budget summary,” said Cruz. Wedding coordinators offer conceptualization with full wedding coordination, but this could cost P90,000 ($1,939.45). “A lot of couples can’t afford [that],” she said. The couple saves on costs if they stick with coordination only on the day itself [around P20,000 ($430.99) to P30,000 ($646.48)], and still hire The Wedding Agency for their planning. When Kai Palileo-Cruz wrote, “Learn to say NO. It is your wedding, not theirs,” in her blog entry, Stop The Bride Bullying, it struck a chord with every beleaguered bride who felt vindicated in wanting to take back control of their wedding, regardless of the expectations of meddlesome friends and family. “That was the tipping point,” said co-founder Fuentes, when their popularity took off. “Ayaw namin ng timeless, gusto namin… TOPAK! (We don’t want anything timeless… We want it crazy!” the founders say onsite, a sentiment perhaps best expressed in November 2014, when they published a photo shoot of a Maleficent-themed mock wedding (they routinely try out suppliers they will later recommend to clients). The post went viral—garnering 2 million page views for the blog—and they even got coverage from media outfits such as Huffington Post, Yahoo! Japan, and Cosmo UK, among others.